We are enjoying our summer afternoons here in the San Juan Islands! 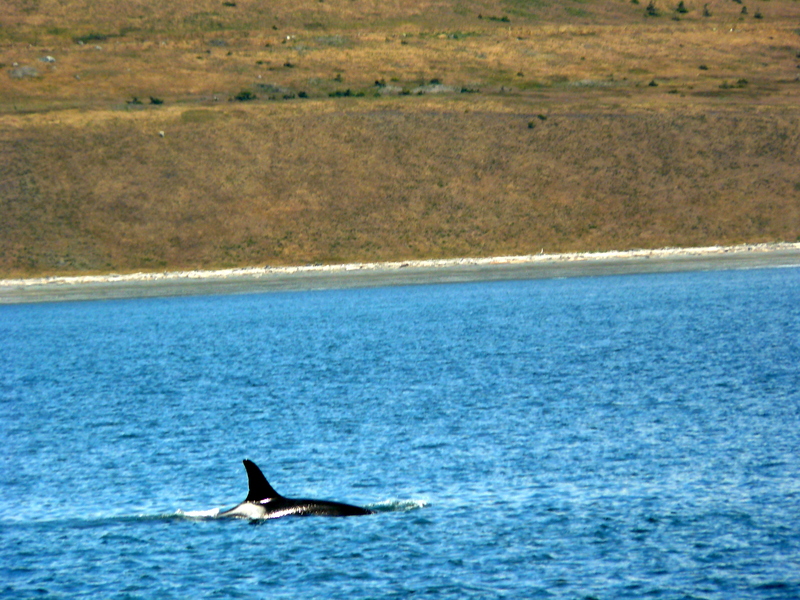 Today reports were of J, K, and part of L- Pod spread out several miles from the north to south end of San Juan Island. The family of L-22 Spirit, with teenage males L-85 Mystery, L-87 Onyx, L-89 Solstice, and L-79 Skana, along with L-12 Alexis seemed to be hunting for salmon until they reached the end of Salmon Bank and turned back toward the northwest. Fascinating to watch these whales utilize the end of the ebbing tide and slack water where the currents calm down for awhile, until the ocean starts flooding back in. The orcas forage in this area and don’t often go past the bank, one gets the sense of the search for food going on below. L-12 Alexis doesn’t travel with this family regularly, but her grandchildren and great grandchildren have been seen with J-Pod lately, so perhaps the estimated 77 year old matriarch was enjoying a respite?! The pods have been mixing it up, challenging us to identify who is spending time with who! « J-2 Matriline = Five Generations! !